Are you Ready for a Long Winter's Nap? ’Tis nearly Christmas. Are you ready for a long winter’s nap? According to the American Academy of Sleep Medicine, too many of us aren’t. They estimate that 30 to 35% of adults suffer from brief symptoms of insomnia, 15-20% experience short term insomnia disorder (which lasts less than 3 months), and 10% suffer from chronic insomnia (at least three times per week). The American Insomnia Survey estimates that there are 274,000 serious insomnia-related workplace accidents per year; and driving while drowsy is as dangerous as driving drunk. And while sleep needs vary by age and individual, folks who regularly get less than 7 hours per night are at greater risk for developing obesity, depression, high blood pressure, diabetes and heart disease. Rather than dreaming of sugarplums, too many of us are facing real nightmares. While severe cases of insomnia justify professional medical help, most of us can take some simple measures to make sure we’re getting better rest. 1. Establish a relaxing bedtime ritual. 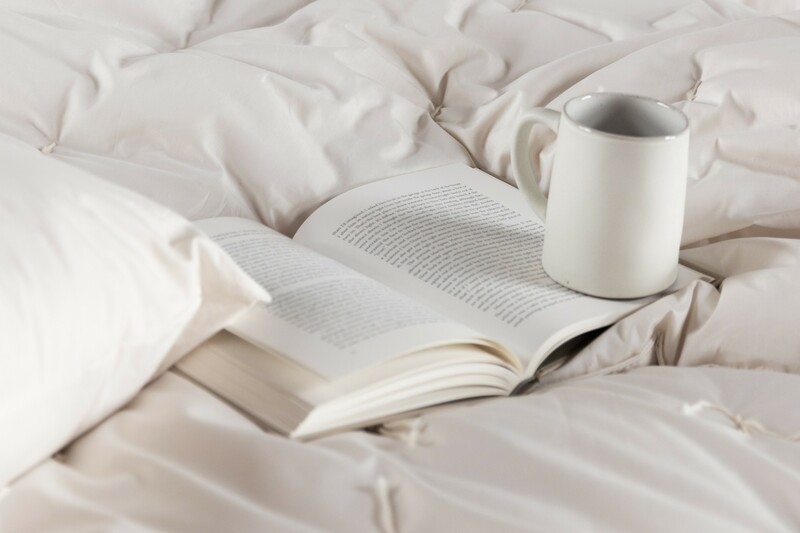 Maybe it’s a warm bath, a mug of chamomile tea, and some time with a book. Whatever you choose, as long as you follow your every night, your chosen activities will send signals to your brain that it’s time to power-down. 2. Exercise! As little as 20-30 minutes of exercise each day has been shown to help improve sleep…Just don’t do it within two hours of bedtime, or you might be too stimulated to go to bed! 3. Keep to a schedule. Go to bed and get up at the same time each day…EVEN on your days off! Sleeping in on weekends actually makes it harder to resume your normal sleep routine during the work week, because it re-sets your brain to a different schedule. 4. Go out and play. Research has shown that getting outside for an hour in the morning light each day helps us rest better at night. 5. Don’t mix screen time with bed time! Electronic media keeps us awake way past our bedtimes while stimulating emotional and hormonal responses (such as adrenaline). Furthermore, their light emissions disrupt the body’s circadian rhythm, increasing our alertness and suppressing the release of melatonin. If the kiddies are supposed to be off devices at bedtime, so too should you. 7. Darken that room and keep it cool. Research shows that blocking the light and maintaining a cooler bedroom helps us sleep more completely. But Mama and Papa tossed and turned in their sleep. That’s because they forgot about sheep. Seeing as we’re a woolen mill and all, we’d be remiss if we didn’t remind you about the importance of good wool bedding to help you have the best rest possible! Wool bedding helps your body to reach an ideal sleep temperature more quickly. It’s naturally flame-retardant without exposing you and your loved ones to toxic chemicals, and it’s superior wicking properties help you to sleep dry and comfortable. So, if you’re looking for a good night’s rest this holiday season, follow these tips, and don’t forget to check out our comforters, pillows and mattress toppers!